The Senior AGM took place on the 9th of March where the 2017 season was reviewed with positivity. Joe Regan, Chairman, stepped down and the Club would like to thank him for all his time and commitment and will continue to value his on-going support. Jimmy Wilson was duly elected and we would like to wish him every success for the forthcoming year. Further information will be available on the website. Fortunately the weather conditions subsided and winter training sessions returned to normal. However, Youth London had to postpone the U17 games. New faces still welcome at training, please contact any of the following if you would like to get involved. Seniors and U14-U17 on a Tuesday at Whitmore High School, Harrow. Contact Dennis Diggins 07768 352680 (Senior), Tony Griffin 07966 160999 (Youth U14-U17), Fiona Corrigan 07940 568702 (Girls), Colin McGuinness 07779 340398 (U12 and younger). Parnells are delighted to announce that we will be taking part as a ‘walking group’ in this year’s St Patrick’s Parade in London on the 18th March. This is a first for the club and it will be a great opportunity for children and parents to enjoy the atmosphere of a great event. Please contact Veronica Bailey if interested (07768 635534). Arrangements will be on the website. 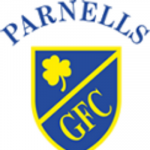 Parnells GAA are proud to be associated with St Joan of Arc Catholic School, Rickmansworth and their forthcoming Township Sports Tour to South Africa in early April. Parnells Girls have shown their generosity by donating over 50 GAA and football jerseys to the school who will be giving them out to teams from the townships that they play. The club wishes them an enjoyable and safe journey and tour. Diary Dates: The Dinner Dance date is taking place on the 14th April 2018 at The Claddagh Ring. Tickets still available, if you would like to attend, contact Tony Griffin on 07966 160999 or Veronica Bailey on 07768 635534. The Youth’s U12/13 ‘Trip to Tipp’ is all set to go. Flights booked and the exciting and packed itinerary in place which will be available soon. A reminder that London Youth are running Safeguarding and Coaching Courses. Details from Tim Slattery (07719 513391).